It all started with caulk. I don’t know how I found her. I don’t remember if I clicked a link to get to her or googled something or what. All I know is that one day I stumbled across this post, and it totally cracked me up. and I’d come back every few days to see what Casey had come up with next. I loved her quick witted-ness and humor. I loved how no topic was off-limits for her. I commented on her posts; she commented on mine. There were emails exchanged and tweets tweeted along the way. There was more to this Casey than what first met the eye. Sure, she was still funny. Sure, she still taking fabulous photos. And sure, she still talking about things that are off-limit for many. But now the off-limit topic was something I could really relate to: depression. I was so grateful that there was someone else who “got” it. There was someone else who could put words to what I felt, how I felt. Casey’s words spoke volumes to me. 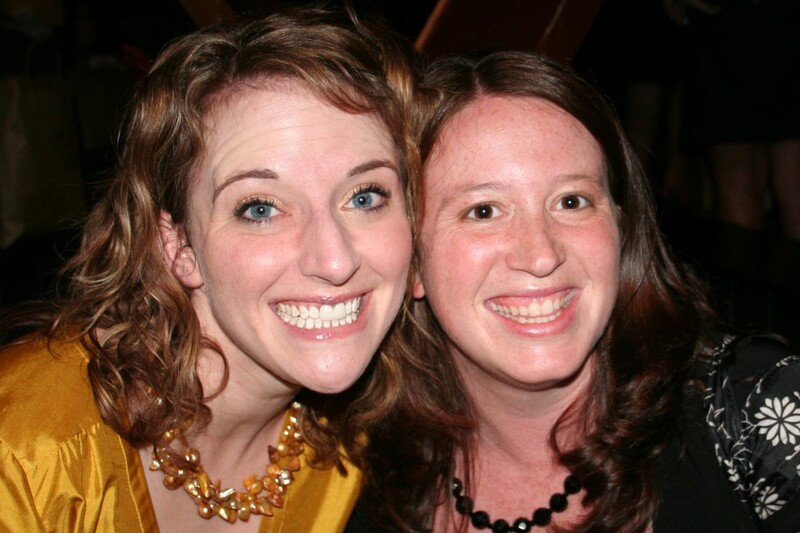 At BlogHer ’09, I finally met Casey. She was happy and shiny and all dressed up. I realized that this person? This Casey girl? Was so much more than “just a blogger”. She is a magnificent mom. She is a compassionate friend. She is open and honest about her faith. She is open and honest about everything. She is as quick witted and amusing in person as she is in print. She is full of energy and sarcasm. And she is real; she is authentic. She is Casey, and I’m glad that she’s a friend. I was at a restaurant eating lunch. I actually shouted “Woo-hoo” out loud when I saw it. I couldn’t be more excited for Casey, Cody and Addie. Just like the rest of the blog-o-sphere, I can’t wait to see if Moosh 2.0 has those cherub cheeks and springy curls. And, Casey, I hope you know that I’m always here for you. And there are few things that feel better than knowing that someone else gets it. I adore you, too. And I’m oh-so-glad the Internet let me have you as well. The lovely DesignHERmomma is the mastermind behind this 15 week celebration! Thank you, Emily. You are an amazing friend! 10 Responses to It all started with caulk. I’m onto your little game now. I’m also wide awake at four am, but this is pretty much the best thing that has ever happened at four am ever. I hope you know you’re every bit as lovely a human being as you claim me to be. I was just going through the Chicago pictures last night, Emily and I ate a lot on that trip, I’m so happy you were able to indulge in that deliciousness as well. Casey is pretty damn fabulous, that’s for sure. Casey is amazing and I am so happy for her and her family. One night after I first “found” Casey, I spent a whole evening reading her blog backwards. It was amazing and funny and I wrote her an email to let her know that if she wondered what freak was reading her blog in the middle of the night for 2 hours that it was me. I can’t remember what her response was but I know I laughed. And you are amazing too my friend and I am excited for you and your family as your little Diva will make her way into this world soon! Awesome. Both of you are. You are both amazing and I adore you both. Also, funny enough, I remember Casey wearing that top, because that was the first day I met her too. Ha. Oh I love this. She is so lovely and so deserving of this love. Such a great friendship story!